It is almost Valentine’s Day – and since I am an alien from outer space and do not like chocolate….that makes me think of jewelry……and then that makes me think about gold…which brings me to of course, ……. Gold Foils, Metallic Gilding and Metallic Foils! LOL! The look of silver leaf or gold leaf can totally revolutionize your finished piece. In fact, here is one of the best examples, in my humble opinion of how to use Gold Leaf with a modern day twist! This piece was completed by Chic and Shabby Furniture by Rebecca. I love perfectly placed and carefully balanced placement of the gold leaf on this piece. To me, it is perfection! 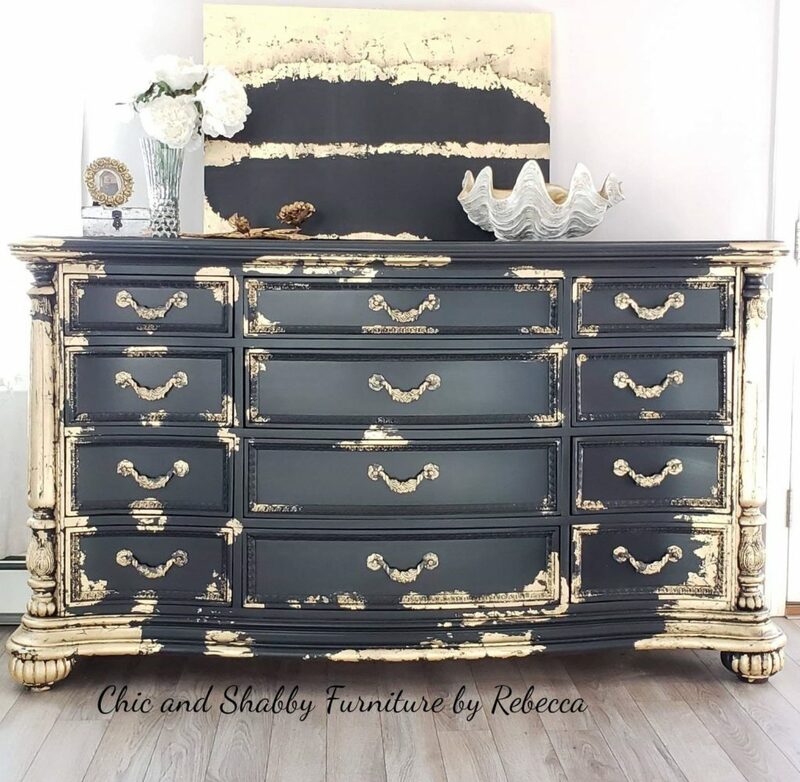 Gold Leaf, Metallic Foils and Gilding are all ways to make your furniture or frames look amazing! The approach though on how to use these products and at what point do you apply them, is something to understand before just attempting. Here is a link to a past video we made showcasing how to apply all of the above. Feel free to jump to the 29 minute mark if you just want to see the gold foil application! Gold Leaf or any leafing ….is the look that I think of when it comes to the renaissance period. It has an authentic aged look to it! With any “leaf” …like Gold Leaf, Silver Leaf or Copper Leaf……you must use some type of “sizing” adhesive for it to stick to your piece. Be careful on where you apply the sizing because this stuff really works! Also, always use your leafing products inside and where that is NOT a breeze. The leaf products are like feathers- extremely light and it will easily float in the air if you have a breeze. 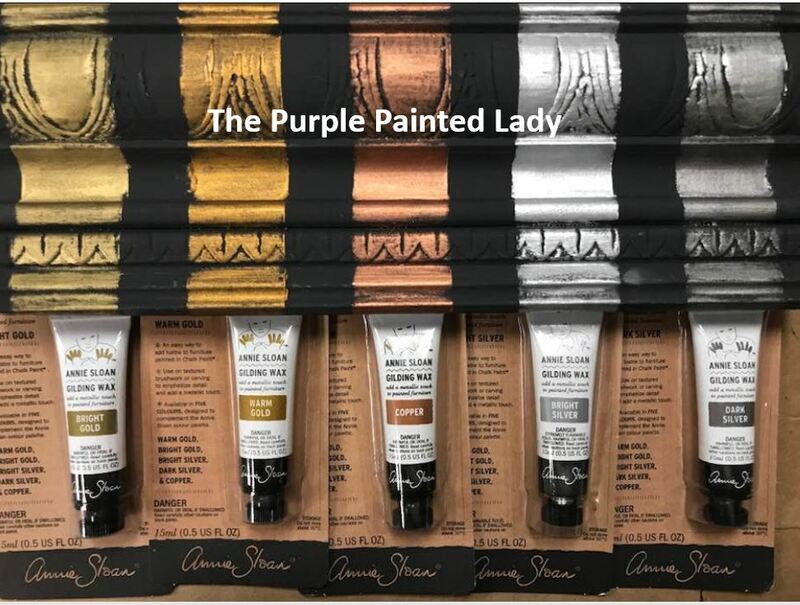 We carry both Annie Sloan’s and Artisan Enhancements. And the foil application MUST happen before you apply your wax or brush on top coat. 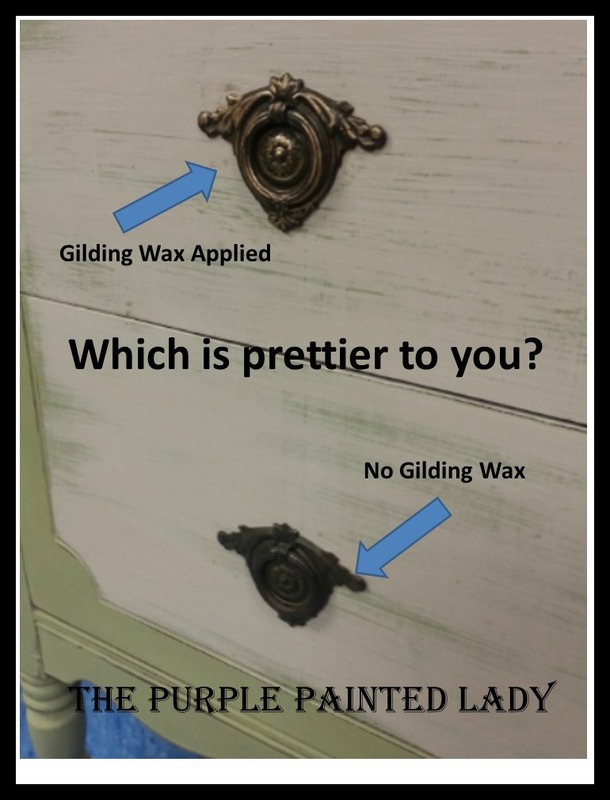 Gilding is a wonderful way to easily add a little sparkle on to the edges of you frames, cabinets or furniture. Gilding is a creamy substance that you spread on with your finger or an artist brush. You can use the most minimal amount and very lightly kiss the edge of a piece or , apply it more boldly. We love to use a little metallic gilding to freshen up aged hardware where maybe the patina has become too dark.